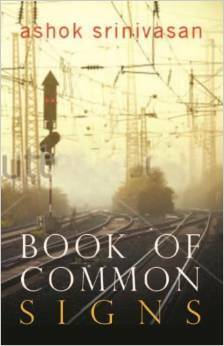 Ashok Srinivasan’s Book of Common Signs became the first collection of short stories to win The Hindu Literary Prize. It won the 2014 Hindu Literary Prize. Incidentally this is his first book. The prize acknowledges the versatility of a form that’s often overlooked. “Memories warm you up from the inside. But they also tear you apart.” —Haruki Murakami in Kafka on the Shore. Ashok Srinivasan’s characters are diverse and he makes it difficult for the reader to judge them morally. In one of the stories, a nine-year-old boy pushes his father off a terrace, causing his death. But the readers’ sympathies remain with the boy, supported by the slanted logic that the father, tired of his life, willed his son to push him. In another story, “A Hangman’s Tale”, the character Tokas falls madly in love with a prostitute (the author refrains from using the term anywhere in the story but scatters enough clues for readers to get the drift) and remains by her side until her death due to cancer, after which he loses his senses and leaves the city in a fruitless search, he knows not of what or whom. Ashok Srinivasan’s characters behave compulsively, more on instinct than on what might be required of them in a practical world. And yet, their actions seem to justify their means. Sometimes, as in the above instance, the stories cultivate a dark undertone. People die under unusual circumstances but life for the remaining characters carries on. As a reader, one is torn between the interplay of magic realism and practicality. This makes it difficult to box Ashok Srinivasan’s stories into a particular genre: Are they fiction? Are they myths? Whatever genre one settles on, there is no doubt they are creative and emerge from an imagination that does not believe in a world that is black or white but rather one that exists in colourful grey zones. All the characters in Ashok Srinivasan’s fiction are, at least in part, some of the many people he himself is: “nothing but a construct of my obligations to other people”, according to him. He sees this life as “a shapeless thing of borrowed bits and stolen voices; only stories seem to have any form”. Some of the stories from the collection have appeared in periodicals and anthologies. “Not to be Loose Shunted” was first printed in Stand, Newcastle-upon-Tyne, United Kingdom, and reproduced in the Sahitya Akademi’s Contemporary Indian Short Stories in English, New Delhi. “The Light, the Way” was first seen in Imprint and later appeared in Namaste. “Kashi” was printed in Katha: Prize Stories, while “Ex-votos for a Mask Maker” came inHelix and Luna, Australia. Ashok Srinivasan dedicates his book to “the peoples of Palestine, Pakistan, the Tamils of Sri Lanka and Jews the world over—you who have borne more than your portion of hard reality, please share among yourselves this paltry enough illusion of an illusion”. 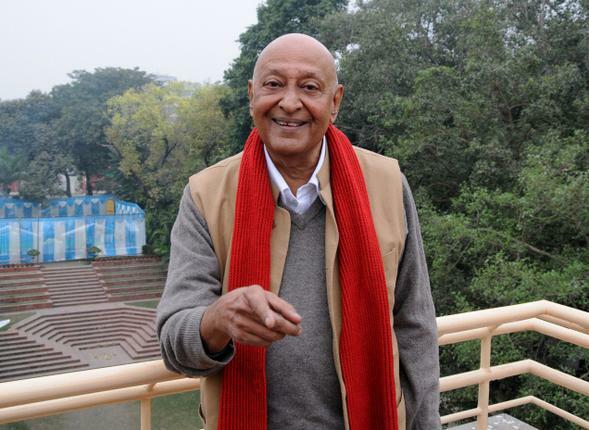 The 70-year-old debutant author was born in a village in Thanjavur in south India. He describes his first novel, Once Upon a Time, which is about to be published, as a savage fairytale for adults. I thought that after the promising opening of the story, it would evolve into something at least mildly modern. But Srinivasan lets himself down by turning out the usual treacle: He meets a woman who is a wet nurse by day and a prostitute by night. She had lost a child in stillbirth. She had “a smile that lit up her eyes before reaching her mouth.” She dies of cancer. He hangs himself. For the most part, the thirteen stories in the book are traditional stories, traditionally told — too full of suicides, still births, miscarriages, and other such tear-jerker set pieces. But there are two stories which indicate what the author can do if he sets his mind to it.